At least eight al Shabaab gunmen infiltrated the base and carried out the attack, which was initiated while the AU base was hosting a Christmas party. The al-Qaeda-linked extremist group's military operations spokesman, Sheikh Abdiasis Abu Musab, told Reuters that the barrage was specifically designated to be carried out while Christmas was being celebrated on the base. "We targeted the enemies at a time they were celebrating Christmas," Musab said. The AU Mission in Somalia says that four people died during the raid and did not release any details regarding the victim's nationalities. Al Shabaab claims that the attack killed at least 14 peacekeepers. The AU Mission in Somalia released a statement saying that it killed five of the al Shabaab militants, while it captured three others. "The terrorists, some of whom were disguised in Somali National Army uniforms, breached the base camp around lunch hour and attempted to gain access to critical infrastructure, during which five of them were killed and three others captured," AU stated. The terrorist group, which controlled major chunks of the nation's capital from 2007-2011, launched an insurgency against its "Christian enemies," and the western-backed government in Mogadishu. Even though the group has lost territory in rural areas and was pushed out of control in Mogadishu in 2011, the Christmas day attack proves that the group is still capable of carrying out major onslaughts in the nation's capital, Reuters noted. The attack is thought to be a retaliation for the death of the group's head leader, Ahmed Abdi Godane, a Somali intelligence officer told The Associated Press. Godane was killed in a U.S. airstrike in September. The group's wrath has not just been limited to Somalia, as its violence has spread into neighboring African countries, where they have killed many Christians and other "disbelievers." Al Shabaab carried attacks on Christians in Kenya, where 82.5 percent of the population is Christian. In early December, it was reported that the group killed 36 non-Muslim quarry workers, mostly Christians, just outside of the town of Mandera. They reportedly separated the Muslims from the non-Muslim workers, ordered the non-Muslim workers to lie down and shot them in the head at close range. "We are uncompromising in our beliefs, relentless in our pursuit, ruthless against the disbelievers and we will do whatever necessary to defend our Muslim brethren suffering from Kenya's aggression," Al Shabaab spokesman Ali Mohamud Rage said. 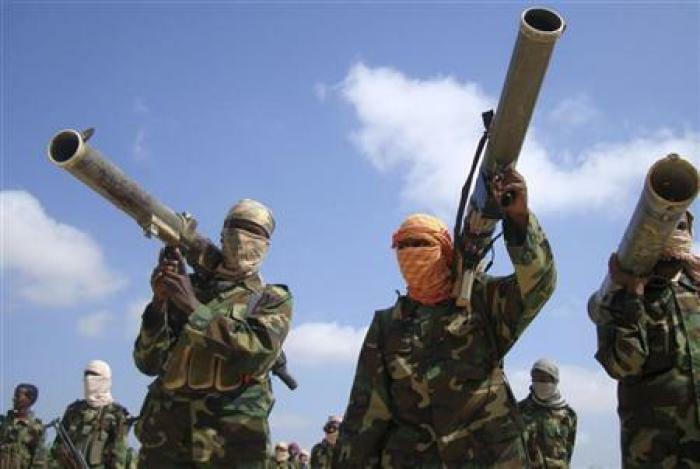 Somali intelligence officers said on Saturday that they have captured one of the most wanted key al Shabaab leaders. Zakariya Ismail Hersi, who has a $3 million bounty on his head courtesy of the United States, surrendered to African Union police in the Gedo region of Somalia. The Associated Press reports that Hersi may have surrendered due to a falling out with loyalists to the slain top leader, Godane. "Zakariya Ahmed was a very senior person who worked with Godane," regional military official Jama Muse told Al Jazeera. "He was in charge of intelligence and finances. He was one of the senior al Shabaab commanders who the Americans put a lot of money on their head."